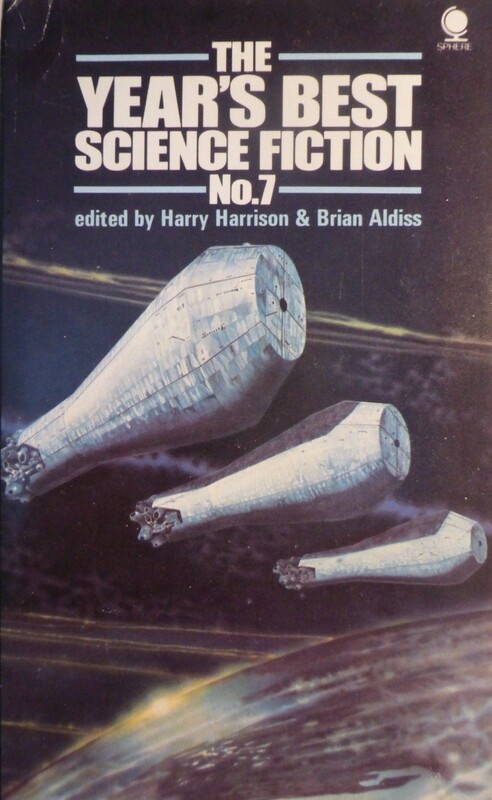 Note: this title refers to the 1972 US publication which was a best of earlier volumes. Another volume by the same name was published in 1966 in the UK but it has different contents. 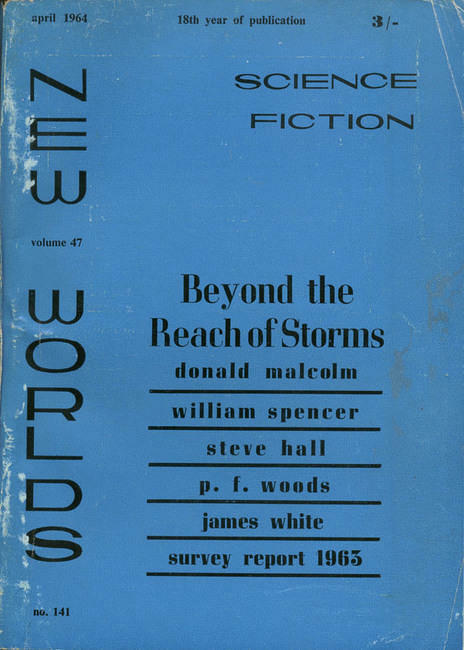 For the publication history and contents of the New Writings in SF anthology series consult the indispensable Internet Speculative Fiction Database listing. 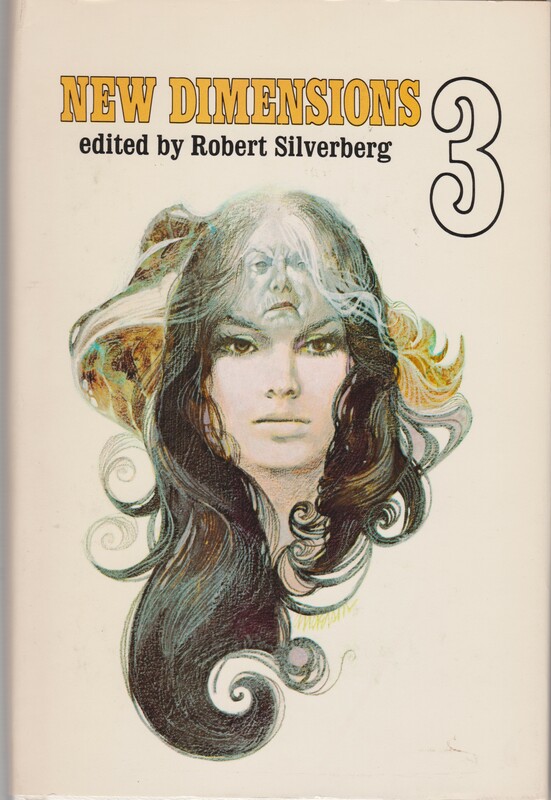 “When I Have Passed Away” (1969), novelette by Joseph Green, 2.5/5 (Bad): I surmise Gene Szafran’s cover illustrates Green’s story–it is as unpleasant as the image. Halak Kussinen and his Earth-raised alien friend Caal’den’an return to the latter’s home world. The reason—their friend Princess Sum’ze is dying. Caal’den’an, with Halak in tow, had previously sought out Sum’ze and her servant Phe’se, both students at the Outworld University in order to learn more about his heritage. A university “especially designed for backward humanoids” (5)… Eventually their all decide to pair off, but, to the shock of the men, both alien women return abruptly to their home world. After arriving on the backwater world populated by Amazons who control the men due to their large size, they learn about Princess Sum’ze’s transformation. Holding off transition as long as possible via medicinal plants, the women eventually enter a transcendental state as “clouds” in the sky. Desperate to prevent Sum’ze’s transformation, Halak and Caal’den’an must decide whether or not the “backwater” alien culture and biology can or should be manipulated. Green’s story oddly resists any real attempt to say something about the overt colonial parallels. The aliens are “primitive”, they attend a university for “primitives”… And that’s that. Likewise, Green seems uninterested in reflecting on gender and society more than stating simply that the women are stronger so they control men. An entirely forgettable planetary adventure without interesting cultures. 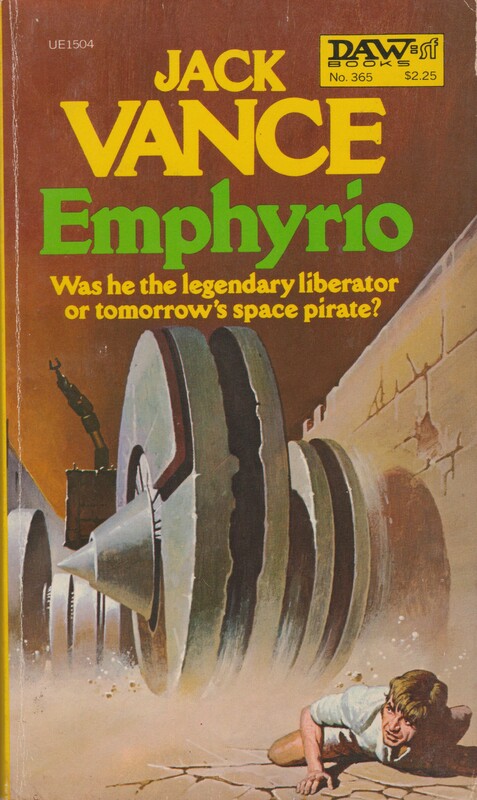 “Symbiote” (1969), novelette by Michael G. Coney, 4/5 (Good): I’ve only read good things by Coney—Friends Come in Boxes (1973) and Hello Summer, Goodbye (variant: Rax) (1975). “Symbiote” easily eclipses the other stories in the anthology. Demonstrating Coney’s humanistic touch, the story follows Joe and the “Chinto” which “sat on his shoulders, gripping his neck with its furry knees, long fingers buried in his scalp” (35). In this unusual world where humankind has long ago abdicated thinking to their sentient (and lazy) one-time pets, individuals wander the landscape carrying out the tasks of the alien denizens that are too weak to walk on their own. At this moment, I stress most authors would resort to sinister alien motives rather than Coney’s brilliant (and outrageous, yes) postulation that through natural evolutionary processes the Chinto will slowly take over. Coney, unlike so many SF authors, can create imaginative and haunting worlds filled with deeply resonating human interactions. Delightful. 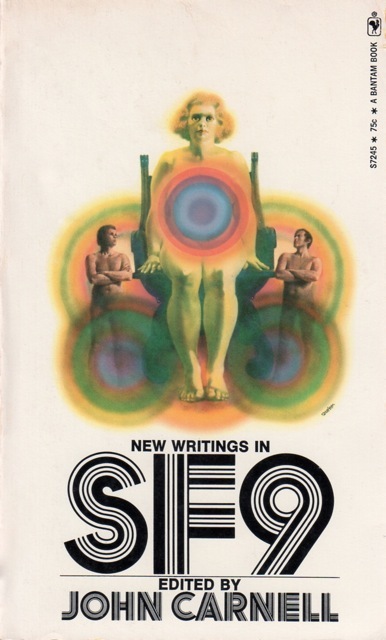 “If You’re So Smart” (1969), short story by Paul Corey, 2/5 (Bad): Back in 2014 2theD (who has sadly quit blogging) reviewed and disliked Corey’s sole SF novel, The Planet of the Blind (1968). Although I have not read the novel, I can detect conceptual parallels between the two—namely the interest in “the limits of old intelligence tests” in assessing intellectual capacity. A fascinating topic that receives a substandard delivery…. Corey retreats to clichéd tropes of intellectual disability as ability in that the supposedly disabled Ibby, “a moron with seizures and a shuffle” (57), knows more than his doctor. The reason, Ibby’s nascent telepathy. The pastorally inclined story (a farm with animal testing labs), never pulled me into the world. Go read Daniel Keyes’ remarkable Flowers for Algernon (short story, 1959; novel, 1966) instead! Or, Katherine Maclean’s Missing Man (1975). 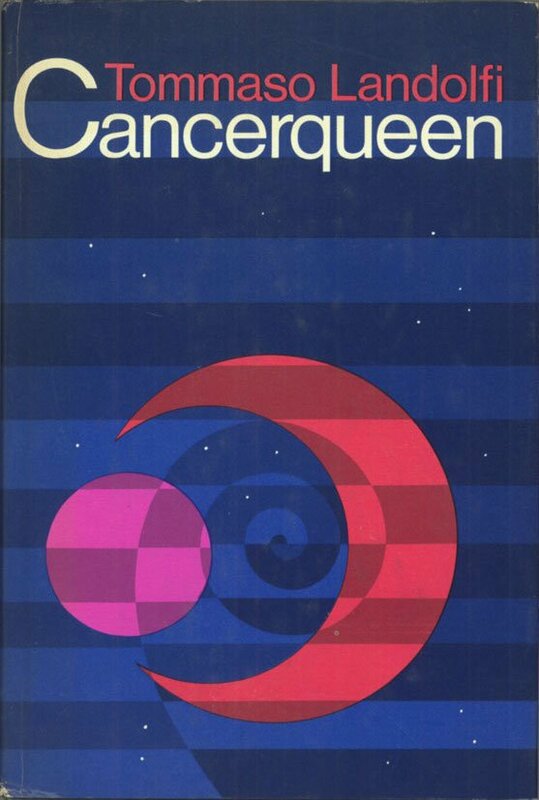 “Testament” (1968), short story by Vincent King, 3.5/5 (Good): King, best known for his cult SF novel Candy Man (1971), weaves a melancholic story about the moment where the exploration of the galaxy nears completion: “It was the last for one thing, the last one of all, the ultimate, the most remote planet-bearing system in the Galaxy” (71). In the form of recorded testimony for a tribunal, the explorer recounts how he landed on the planet and sent out the first “Notification of Evidence of Real Intelligent Interest” in the entire history of Exploration Corps (77). Encountering what could be a temple of knowledge, the explorer must tear himself from its awesome power…. And then disaster hits, and he must confront the possibility that he introduced a new force into the galaxy. King manages to evoke some of the existential emptiness of an explorer encountering the end of possible exploration and also the exhilaration of finally encountering the potential of life…. The twist diminishes the power, and recasts the tone of the story. I won’t give away the ending as it’s a fun one! “The Macbeth Expiation” (1968), short story by M. John Harrison, 3.5/5 (Good): Harrison’s second published short story is one of the better stories in the collection—and other than the two UK publications of New Writings in S.F.—13 (1968) it wasn’t published elsewhere. 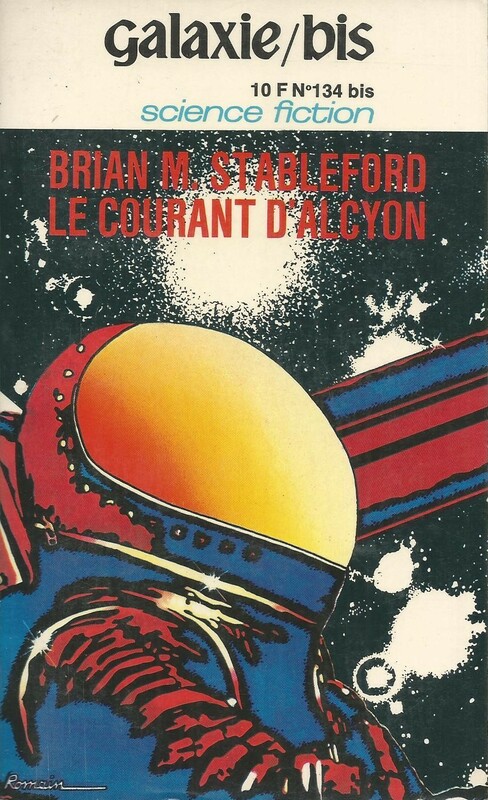 Although far from his best short fiction (for example, those in his 1975 collection The Machine in Shaft Ten), “The Macbeth Expiation” dabbles with intertextual relationships between literary characters (Macbeth) and SF. This acknowledgement of trope appropriation, appeals… And Harrison is the master of mood: “There, under a dark, swollen sun, we shot four of them as the crossed the old lava plain” (89). The setting: A gloomy planet filled with strange beasts–“those slow, silent things that came over the lava: idiotic shield-shaped heads—ten feet off the ground on great multiboned stalks of necks—absolutely faceless, joggling as they moved like strung toys” (89). Macbeth, an impulsive fighter prone to fits of rage trapped by guilt and paranoia, panics as he and his fellow explorers cannot find the bodies of the behemoths they shot the day before…. Worthwhile. Note: If you haven’t read Harrison’s The Committed Men (1971) or The Pastel City (1971) track down a copies! 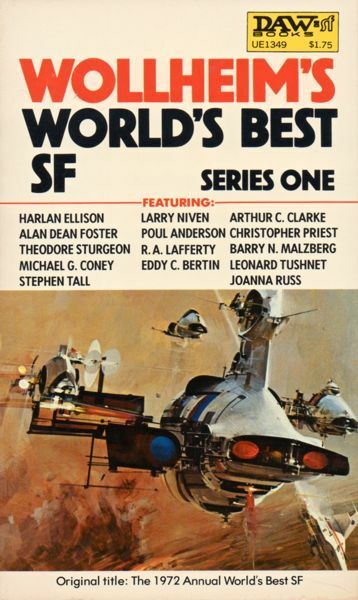 “The Last Time Around” (1968), novelette by Arthur Sellings, 3.25/5 (Vaguely Good): The only story in the anthology republished in later non-foreign collections—World’s Best Science Fiction: 1971 (1971), ed. Terry Carr, Donald A. Wollheim—and I’m not sure why. A poor man’s “Aye, and Gomorrah” (Delany’s famous 1967 short story), “The Last Time Around” explores the emotional state of an irradiated “direct continuum propulsion” space pilot subjected to time dilation. As he returns to Earth decades after he leaves, the relationships he creates cannot be sustained. Or, under the illusion of preserving what was, he drives the women whom he encounters to drastic ends: “he had come back to a Helen of sixty-seven […] A Helen who had used every artifice of twenty-second century cosmetic surgeons, who paraded before him to entice him, in the grotesque negligées of a world foreign to him” (121). About to head off on his final mission, he meets another woman… and they fall in love. And she also goes to desperate lengths to preserve something of their love. “Tilt Angle” (1969), short story by R. W. Mackelworth, 3/5 (Average): A functional story of a post-apocalyptical world where all Earth’s inhabitants (supposedly) live in a vast throbbing City in an icy wasteland. Two explorers are sent out of the City on a mission to find food in a warehouse…. However, they encounter the deeper secrets and one which they might not want to accept. 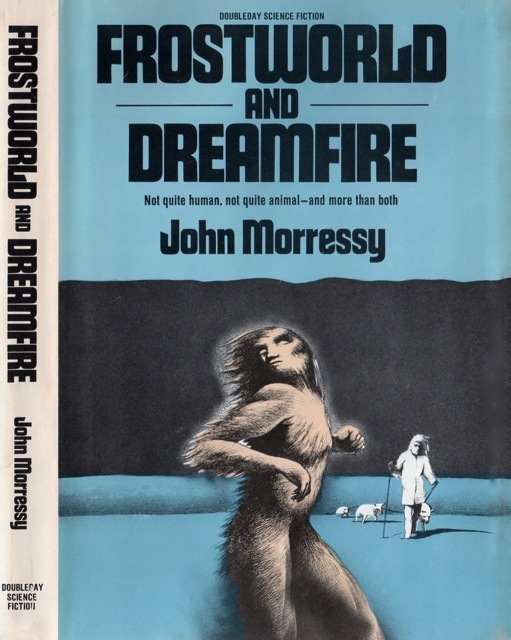 At first glance the story felt like an adventure story in the mold of Robert Silverberg’s The Time of the Great Freeze (1964). Mackelworth treads darker ground. All in all, too functional as “Tilt Angle” lacks memorable images or scenes. 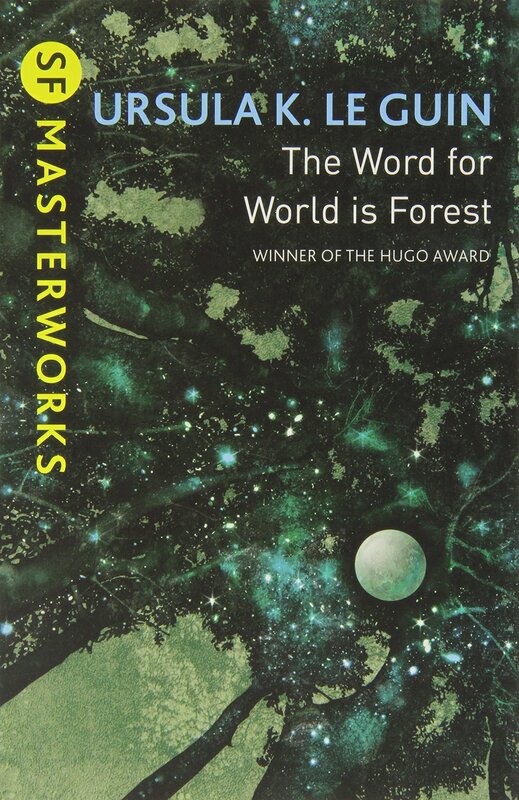 Interesting for readers fascinated by New Wave SF from primarily non-English language authors? Did the Vincent King use…ellipses a lot? 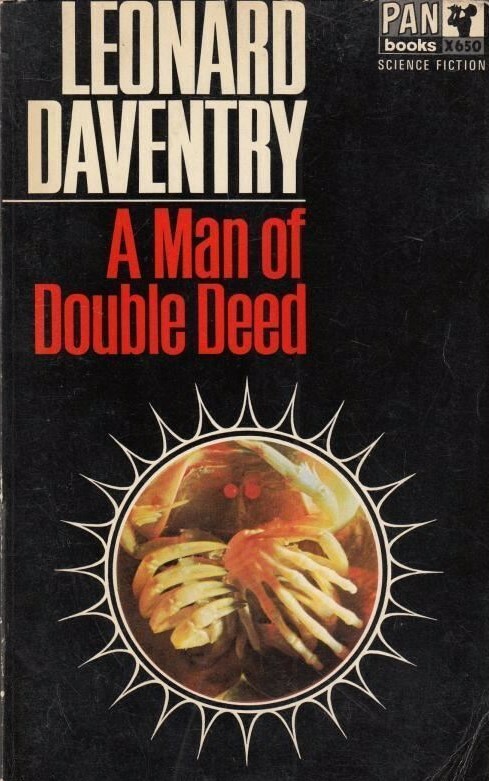 As I recall, that was a lasting impression from reading Candy Man… and another novel of his, Time Snake and Super Clown. Seemed very New Wave at the time. Never heard of the Harrison; I have a fair amount but I’m certainly not a completist. Sounds good, though. Coney has written some good books, as you know. Worth following up. The couple of Joseph Green novels I read weren’t really very good; Gold the Man was probably his most successful and Conscience Interplanetary was basically a fix-up of several short stories. I try consciously to keep them to a minimum in my own writing after I encountered a blog where they were used INSTEAD OF PERIODS! (drove me mad). If I were to put together a “most underrated” list (which I won’t do as how can one assess that), I’d include Michael G. Coney. He’s that good. As for Green, I acquired one of his novels almost two years ago but don’t plan on reading it anytime soon. If I see a story in a collection perhaps I’ll give it a go but I don’t have high hopes for his works. 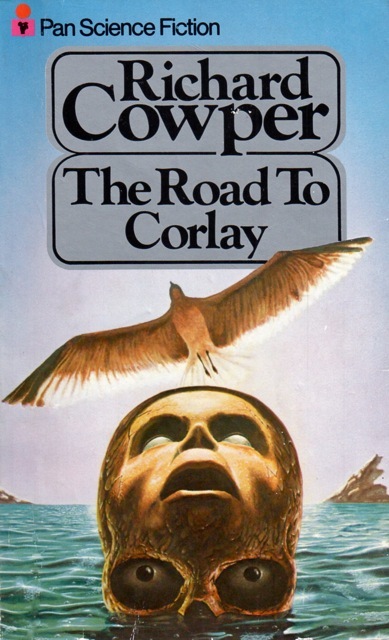 Have you read any Michael G. Coney? I find him delightful…. And, touching and emotional (in a good/genuine sort of way) with oddball premises. No – but I’ll look out for him!